The Yas Marina Circuit is the venue for the Abu Dhabi Grand Prix. The circuit was designed by Hermann Tilke, and is situated on Yas Island, about 30 minutes from the capital of the UAE, Abu Dhabi. Yas Marina is the second Formula One track in the Middle East, with the first being in Bahrain. 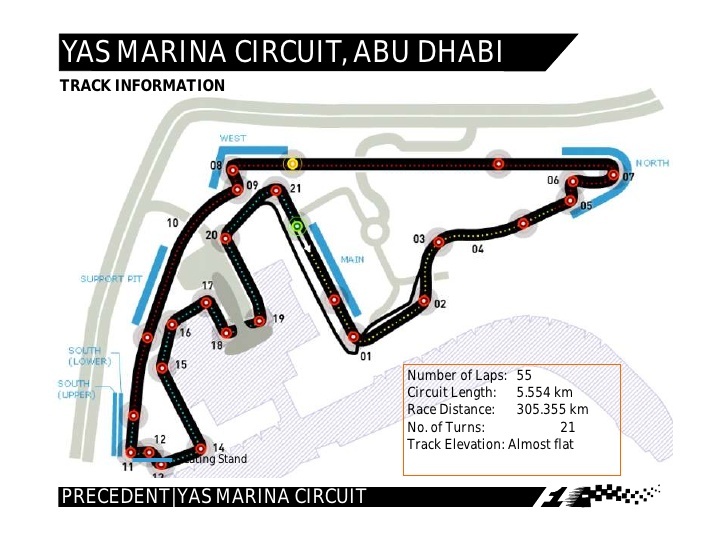 The twenty-one corners twist through Yas Island off the Abu Dhabi coast, passing by the marina and through the Yas Hotel Abu Dhabi, and winding its way through sand dunes, with several long straights and tight corners. “This was my first experience in a night race, on a Formula One track. The sheer thrill of the experience will always remain within me as a memory that will be cherished.” says Danial.